Writers at Sonoma is proud to host Solnit as she speaks on her life and career at 7 p.m. on Tuesday, April 17 in the Prelude in the Green Music Center. A true Californian through and through, most of Solnit's work involves exploring California in some way. Infinite City: A San Francisco Atlas released in November 2010, is no exception. It is Solnit's new spin on a traditional atlas of the city of San Francisco. Her other works involve the history of California in one way or another despite their diverse subject topics. River of Shadows: Eadweard Muybridge and the Technological Wild West, the story of the first man to capture high speed motion photographically, won a Guggenheim, a Lannan Literary Award, and a National Book Critics Circle Award in criticism. The highly acclaimed A Paradise Built in Hell: The Extraordinary Communities that Arise in Disaster discusses human nature and how it responds to catastrophe, beginning with the San Francisco earthquake of 1906. 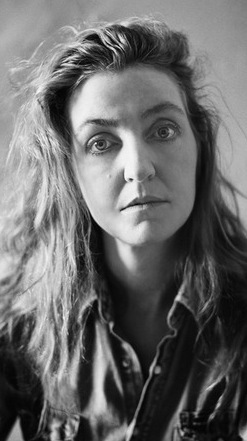 In addition to writing, Solnit has been a contributing editor to Harper's and contributor to the political site tomdispatch.com. As an activist and a journalist, she has worked with movements involving climate change, Native American land rights, human rights, and anti-war and anti-nuclear standings.